Here’s a real resolution, for once: I promised JohnnyO in this space that I would belatedly get on Twitter and take it for a spin, despite my longstanding resistance. So, today, I created an account – http://twitter.com/m0ckduck – and promise to jump in with both feet, tweet avidly, take advantage of it as much as possible, etc… for the span of one month. At the end of February, I will cast judgement on whether it’s actually bringing anything to the table that Facebook, this blog, et all don’t already. 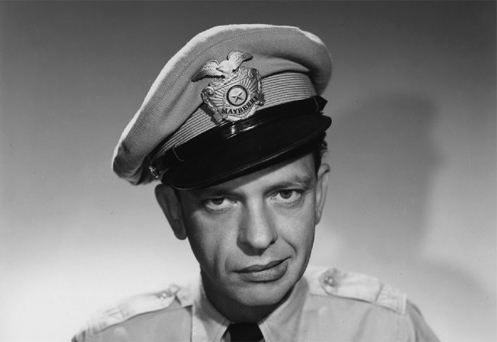 (Image: Don Knotts, for no reason in particular). I just did the same thing last night, just to see. Oh wait, Twitter sucked the brain out of my skull. One whole month is a long time. It’s a good thing you picked February. Anyway… so far, I’m finding that the bird metaphor is perfectly fitting for everything that’s both good and bad about twitter. So, good job by them in that sense.